The photo below was taken yesterday at the entrance to the McHenry Library at UCSC. Apparently, the Sundt construction company has won the contract for building 3,000+ bedrooms and apartments at UCSC. Go to the East Meadow Action Committee for specific news, meetings, letters, etc. More student residences are critically needed at UCSC. The main decisions on building more dorms at UCSC have not been transparent, however. Of course, an Environmental Impact Report has been filed and discussed, since it is a compulsory part of the project. It has become a useful screen at the hands of the remote deciders, because it grants the project an aura of openness and meticulousness in its adherence to the legal process. The essential decisions regarding financing, tax status, legal structures—the nature of the rental contract especially: length, fees and other costs—, the status of the so-called non-profit Private Partnership (the Capstone company) vs related for-profit contractors for siting, architecture, cost of infrastructure, rents, maintenance, all of these seem hidden to me. I’m left guessing, as I couldn’t find anything so far about the composition of the committees of the real deciders, the minutes of their meetings, the real length of the rental contract—is it fifteen, twenty, thirty years?—, the legal nature of the property—is it owned by UC as a public entity? How exactly is it structured? And of course, siting decisions may have been guided mostly by a concern for the bottom line: building where there is existing infrastructure, for instance. These questions come up as one thinks of the money to be made. At about $1000 per capita per month, we are looking at a gross revenue stream of nearly 30 million dollars annually. 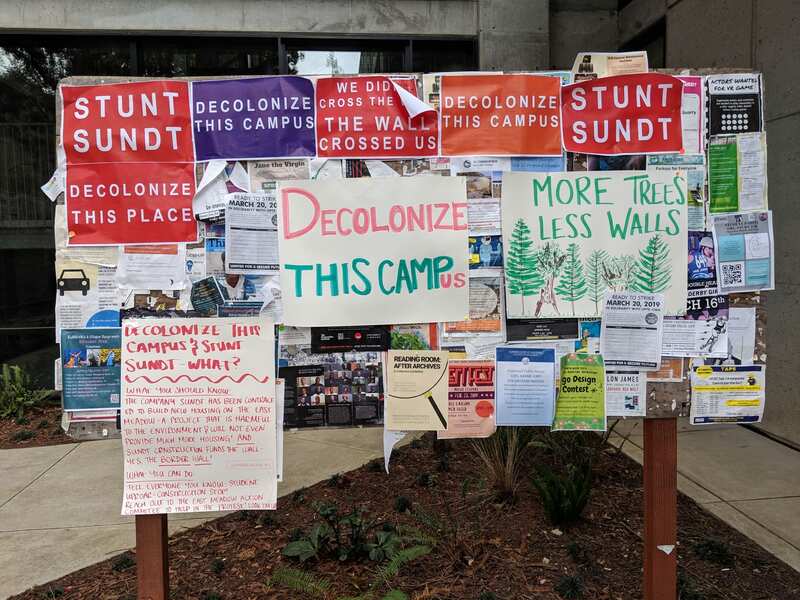 If the rental contract extends to 30 years, after which UCSC would “own” the property outright, the potential gross revenue is about 900 million dollars. If the rental contract is for 15 years, it represents half of this considerable sum. The non-profit nature of the investment doesn’t eliminate the potential for excellent profits by contractors chosen and managed by the non-profit private partnership. How would these contractors for planning, construction, maintenance, rent management, etc., be chosen? Would there be bids? Any regulations by UC itself? In all of those decisions, UCOP and UCSC seem to have decided to privatize. The decision to go with Bright Horizons, a private company, for childcare, for instance—with charges of $2000 to $3000 per month—rather than continuing what exists ($869 for full-day care) indicates that the university doesn’t want to deal with employees, pensions, health, and other benefits. See the letter on this subject by the UCSC Graduate Student Association. If the real nature of the whole project is that of a for-profit enterprise somehow under cover of an non-profit, should it hide behind the tax-exempt nature of public universities? Shouldn’t it pay taxes to county, city, and state? But I’m left guessing as I don’t have the documentation on these crucial questions. Perhaps the UCSC Academic Senate Committee on Planning and Budget has some answers. In any case, it seems clear that the state and UCOP authorities decided at the highest level that they were not going to fund the expansion, apparently, and suggested that a magic partnership with private investors was the solution. It seems that public universities that pride themselves on their history of openness are willing to go along with powerful interests to accelerate their own privatization.